Every Sunday I turn to a random page in this book. Sometimes they are short stories. Sometimes they are long. But they are always filled with knowledge. I have read this book a thousand times. You can never suffer from learning. From reading. Turn off the tv. Find your favorite book. Designate a day of the week, a time slot, or even 30 minutes in the morning or right before bed. Read just 5 pages. Or just one. Stimulate your mind. Knowledge is power. 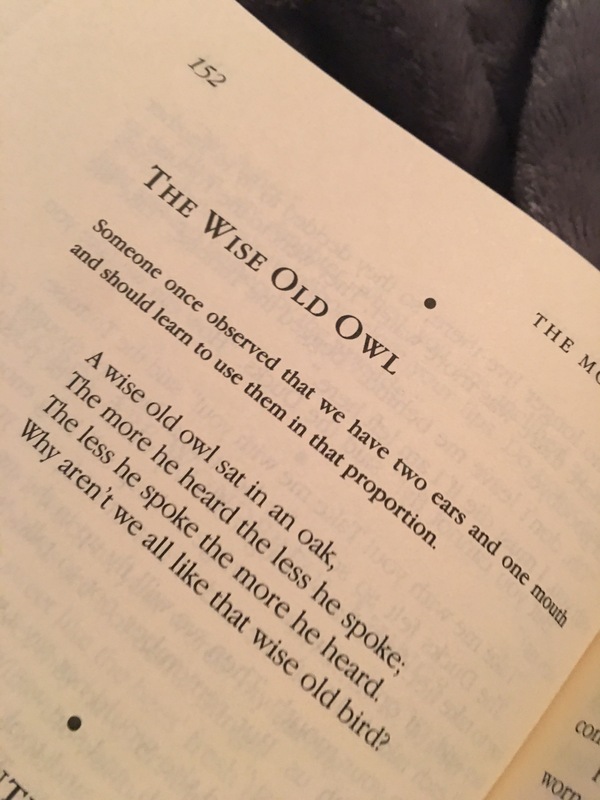 And just as the owl says in this story, speak less and hear more. That can apply through any words. Speech or writing. Hear the words on the paper. I challenge you this week to make the attempt to pick up a book. Place it where you can see it. If it is within reach, you can achieve it.